Today's post is from Team Member, Tereza Toledo. Tereza recently went on a family vacation to Jamaica, and shares how she she crushed her Diet Mentality and truly relaxed during her Chill Phase. I just got back from a true chill phase. 7 days on an all-inclusive resort in Jamaica with husband and kids. 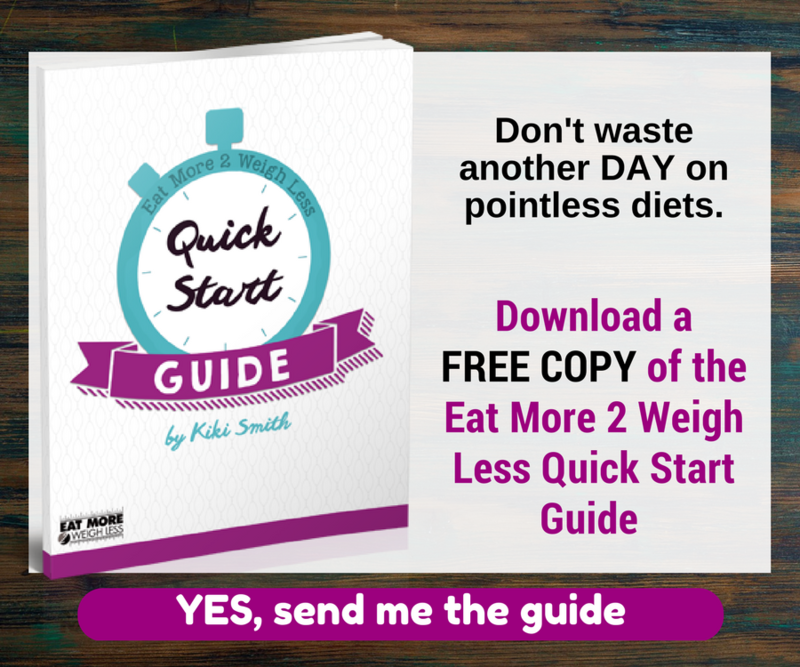 In the past, the diet mentality would have made everything different; it would have ruined it all. I would have spent weeks trying to eat barely anything, cardio-ing myself to exhaustion, just so I could look a certain way for the vacation. Then I would be miserable. I would not enjoy the beautiful scenery, the amazing food and the company of my family, all because I’d be full of insecurities over my body and all the other stuff the we allow to come in when we let the diet mentality take over our lives. But nope, none of that happened. I am a #crusher and I’m proud to brag! I was on a very mild cut for six weeks, not because of the upcoming vacation (last minute decision) but just because that was the phase I chose to be in after a long maintenance turned bulk. I kept lifting, watching my macros and eating what I should until the day before we left. No pressure to squeeze myself in old clothes that wouldn’t make me feel or look good. I ate the food, I slept, I put my feet up and enjoyed. You don’t get someone cooking your meals and tidying up your room too often! I don’t usually drink, but who can pass on pina coladas being served at a pool bar (literally inside the pool – genius idea) with my favorite people in the world (the kids got virgin drinks, of course). It would have been rude to the bartenders! I didn’t worry about how much sugar/carbs/whatever was in there, I just sipped and chilled! I even had dinner and breakfast twice a few days. How could I say no to my husband and kids or not joining them or to nag at them for eating. I never get to enjoy Jamaican food! I wasn't going to not eat! It wasn’t a crazy feeding frenzy as it may sound, but it was a decision that I made. I allowed myself to have my time off and enjoy it, bit by bit. 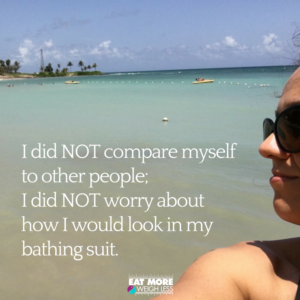 I didn’t feel gross about myself; I did not compare myself to other people; I did not worry about how I would look in my bathing suit. I didn’t spend a second thinking that I was ruining my previous phase or that I’d have to undo the damage when I got home. I didn’t eat salad in the last day or on the way home, I didn’t even try to use the amazing gym they had there! I just chilled. Today, I have no regrets. I’m not worried if my pants feel a little snug or if I don’t look as cut as I did before the vacation. I am re-energized and ready to move on with my next phase. I reconnected with myself and with my family, we had a great time and made wonderful memories. We laughed and had fun. And that’s what EM2WL and #crushingthedietmentality is all about. How are you Crushing the Diet Mentality? Post your NSV's in the CTDM online community, we'd love to share it with the fam!